Here comes the circus to the town, come along with the ecstasy of the sound of music that draws the crowds to come forth, to where they can see the “dots” and “lines” within the music notes dancing and adjoining each other, and telling their stories to those visitors. While entering the tent of the circus, the very first thing comes into the sight is the enormous column that support the tent. 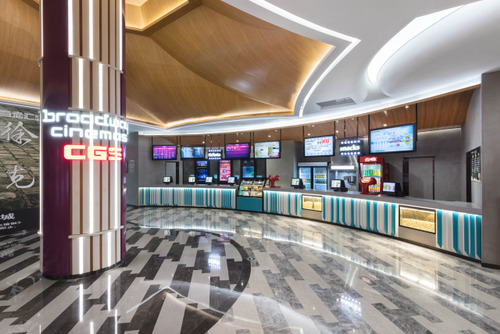 The luminous “lines” and wordings that extent from the column, in addition with the tent ceiling that radiate from this point, are telling customers this is the cinema that tells stories by its beats. 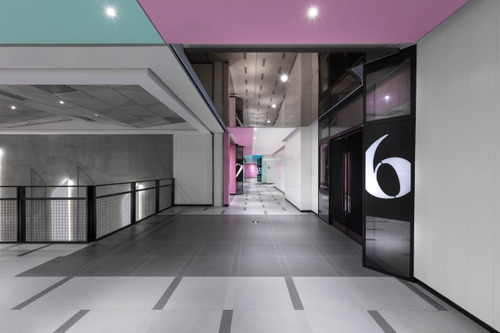 The flooring is assembled of “dots” in a neat and alternating order, all pointing to the same direction while they performing their swift beats, to the ticket box and concession counter that reside series of flamboyant “lines”. Then the wooden patterned curvature ceiling above these positions is as well giving the direction of where audiences enjoy the stories on the other side of the tent. 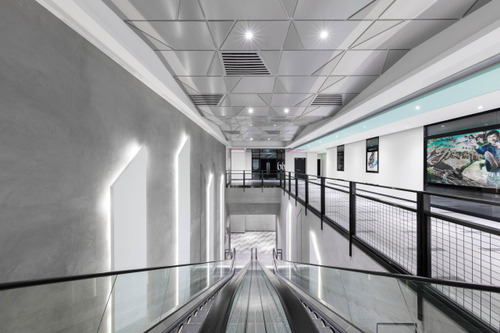 The wavy and dynamic form of the ceiling tells a hint that the corridors are actually portals from tent to tent, as well as the portals of conversion: conversion from anticipation to astonishment; conversion from mildness to exclamation. 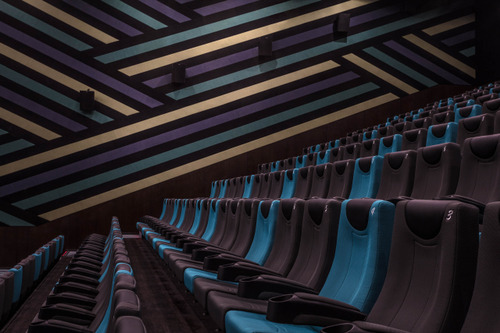 The colour scheme has also turned from the brownish timber tones to the energetic purple and green tones that resemble flowers and meadows, which implies the excitement when audiences are watching the stories. 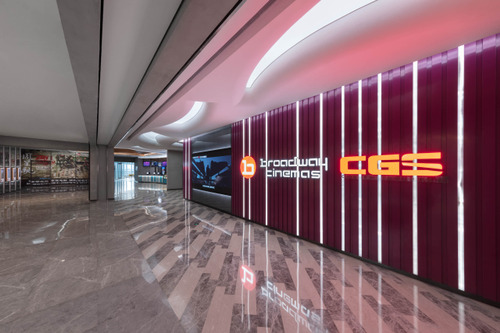 The theatre entrance and the wall finish with poster light boxes have altered into the industrial fixture consists of black metal wire meshes, in order to confirm audiences are ready for entering the other worlds. After experiencing the other worlds, the lavatories could be a pretty nice space to ease oneself. 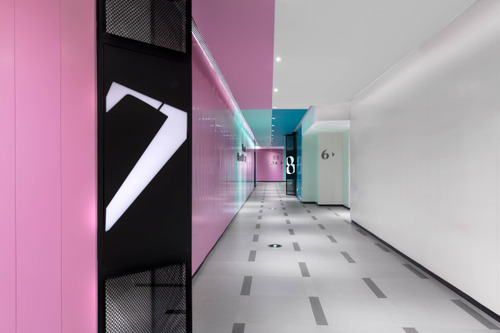 To conclude the experiences, the easy-going style of the lobby and the vivacious style of the corridors are syndicated here. 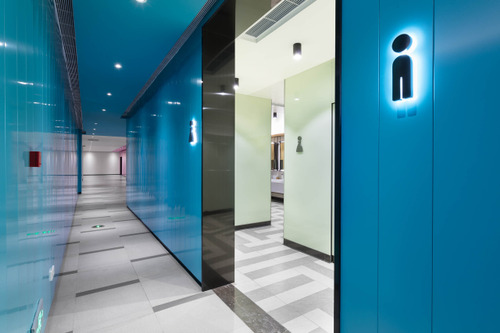 One of the instances is the combination of wooden finish and bright green tone at cubicles. 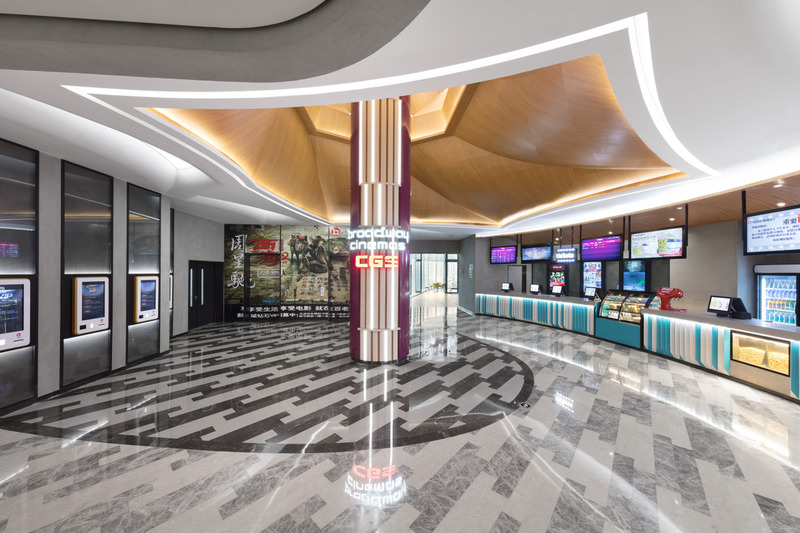 The black framed mirror sets that match the industrial style of the theatre entrance doors, adjoining with the minimalist marble basin sets, the functionalism and humbleness of the theatre entrance design are also well presented here. At last, just complete the amazing journey by finishing the petite maze of ceramic tiles on the floor. Bon voyage! 2017 © Oft Interiors Ltd.